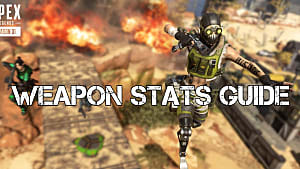 Apex Legends had a surprise launch, and it was met with even more surprising, or perhaps overwhelming, community response, topping over one million concurrent players only 72 hours after its release. Because it's still fairly new though, a lot of players aren't completely sure how some systems work or how to get rare items. One item people are clamoring for is the Apex Legends knife, or more accurately, a special skin for Wraith's weapon. Here's how you get it. The special knife is actually just a skin, not a new weapon. 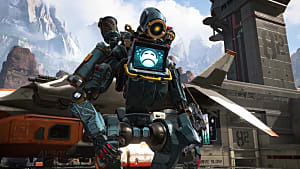 Like all cosmetic upgrades in Apex Legends, you get this one randomly from opening Apex Packs. Yes, it's a loot box item. 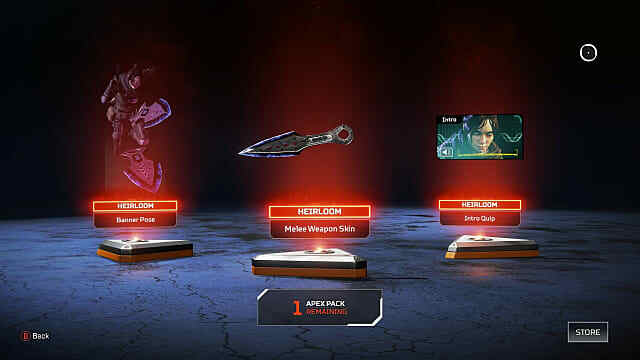 Apex Packs can be earned naturally over the course of the game. You often will get one when you level up, but EA says you'll get roughly 45 Apex Packs total when leveling from one to 100. The other option is to purchase them. 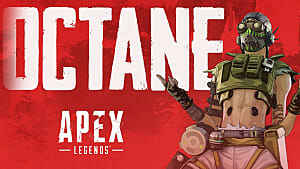 One Apex Pack costs 100 Apex Coins, and you get 1,000 Apex Coins for $10. To note, the knife skin is a special loot box item, because it's ranked as an Heirloom. What are Heirloom Items in Apex Legends? Heirloom items are super-rare items that are harder to find than even legendary items. 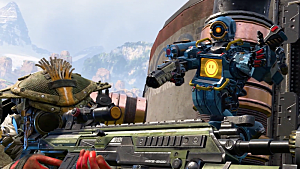 Right now, there's only one Heirloom item set in Apex Legends, though Respawn has promised more to come. That one set is Wraith's. You've possibly not heard of Heirloom items yet, because you won't know that they exist until you get them from an Apex Pack. Whether you want Wraith's Knife enough to pay for it is up to you, but it's worth noting that Heirloom items come in sets. So, if you get one of Wraith's Heirloom items in an Apex Pack, you'll get all three: the knife, a voice clip, and a banner. You'll know when you get these items, because they glow red when they pop out of your Apex Pack. 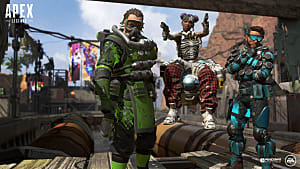 If you've got other burning Apex Legends questions, we've got your answers. 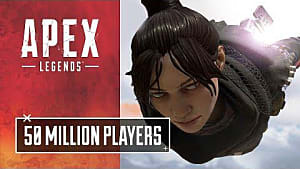 Wondering if Apex Legends will ever be cross platform or have crossplay? Check out our cross platform insight piece. 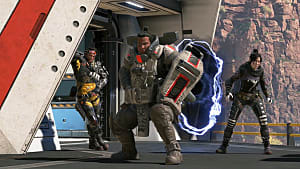 New to Apex Legends and wonder which characters are the best and which abilities to focus on? 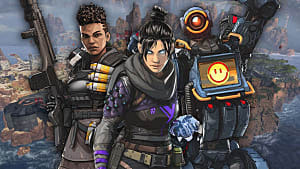 Head over to our Apex Legends character rank list and ability guide. 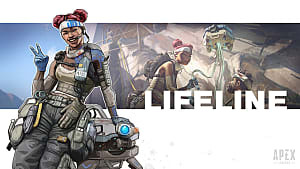 Just started Apex Legends? Our beginner's guide to winning faster lays out some great tips. And if you're looking for the best guns, we have that, too.